From Wed 26th Nov, for one week only, the DFC will be available in Tesco stores around the UK for a special price of £1.99. If you haven’t subscribed to the weekly comic yet, this is your chance to find out what the buzz is about. 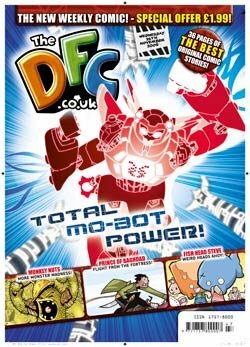 As always, head to www.thedfc.co.uk for the lowdown on what’s been referred to as an injection of enthusiasm into the UK comics scene.